Last year, we used the Lawns Show to showcase our innovative Concept Van, which generated so much interest it featured in The Daily Mail and went on to tour the UK’s holiday parks and even win awards! 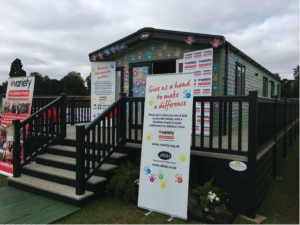 We knew we wanted to bring another showstopper to this year’s Caravan Extravaganza, but rather than challenging the holiday home industry again we decided to do something with the potential to make a real difference in the community. 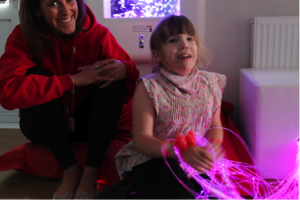 So, we came up with the idea for a Sensory Space – a specially designed ABI to be enjoyed by children with learning difficulties or disabilities. This was then built with support from our community of suppliers to donate to Variety, the Children’s Charity and will make a huge difference in the lives of some of the children Variety support. 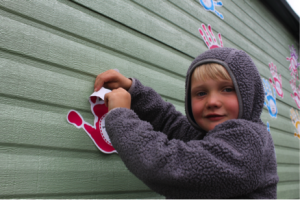 We weren’t content with simply donating the Sensory Space though – we wanted to get the community of holiday home enthusiasts involved – and what better (or more fun) way to do this than by letting attendees at The Lawns get involved in decorating the van! 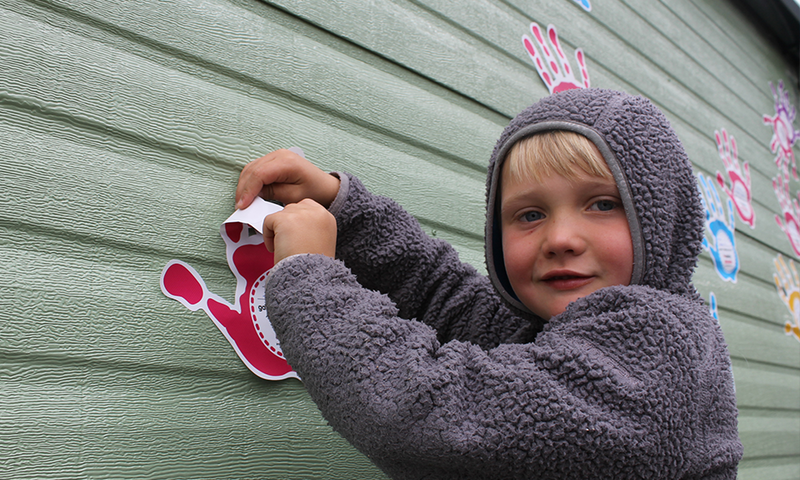 For a small donation, we let members of the public join in with the community project by decorating the van’s exterior with hand print stickers, which they could sign with their name. The results were astounding – the Sensory Space was coated with handprints at the show, and through this activity we have already raised £1000, which will go towards a Sunshine Coach, to help disadvantaged children across Yorkshire access holidays. A huge thank you to everyone who came to see The Sensory Space at the Lawns Show and to everyone who donated. The van will be on display at the HERCMA Beaulieu Show, 25th-27th September, where you’ll have another chance to lend us a hand to make a difference!